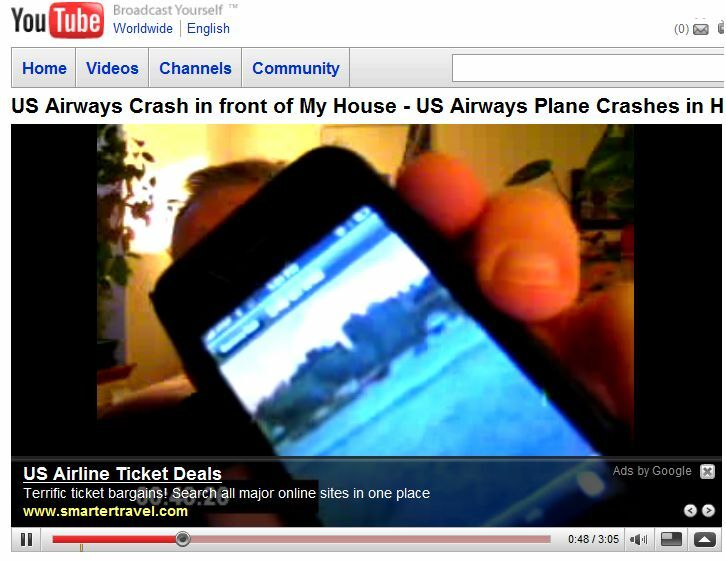 Thankfully, everyone on the US Airways flight that crash landed in the Hudson River today was safe. No thank you. Not today. 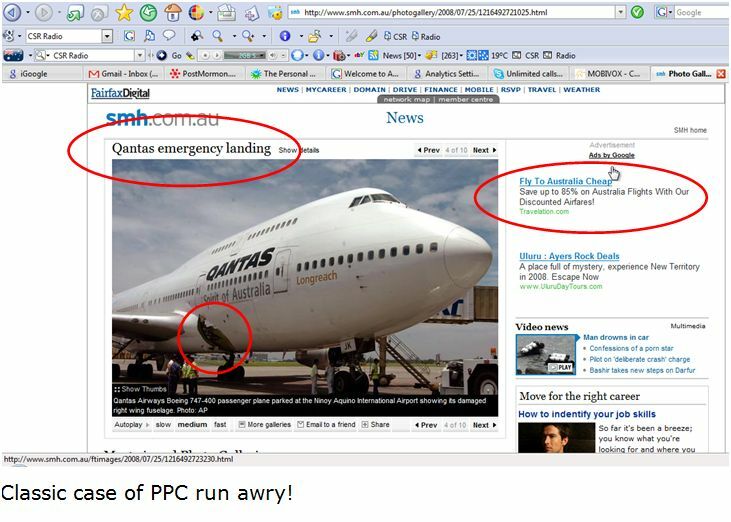 CT Moore sent me a similar image of inappropriate display advertising on an image of a damaged Qantas aircraft. « RBC CEO writes to clients: Is this good or bad communication?